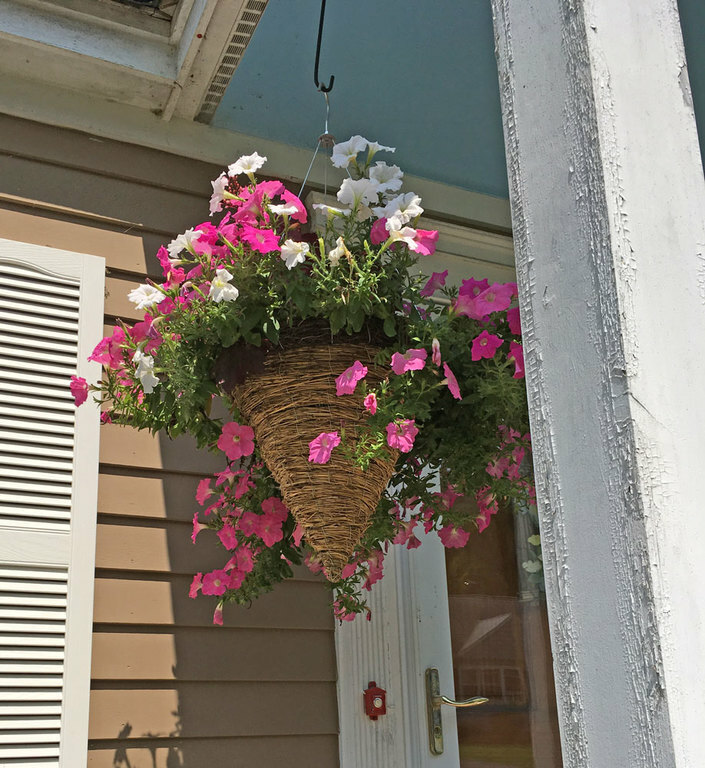 For those who like something different, this wiker hanging basket makes a great point about who you are. You will get to choose your own colors, with expert guidance, of course. And you can even choose plants for sun or shade. It's all about YOU!